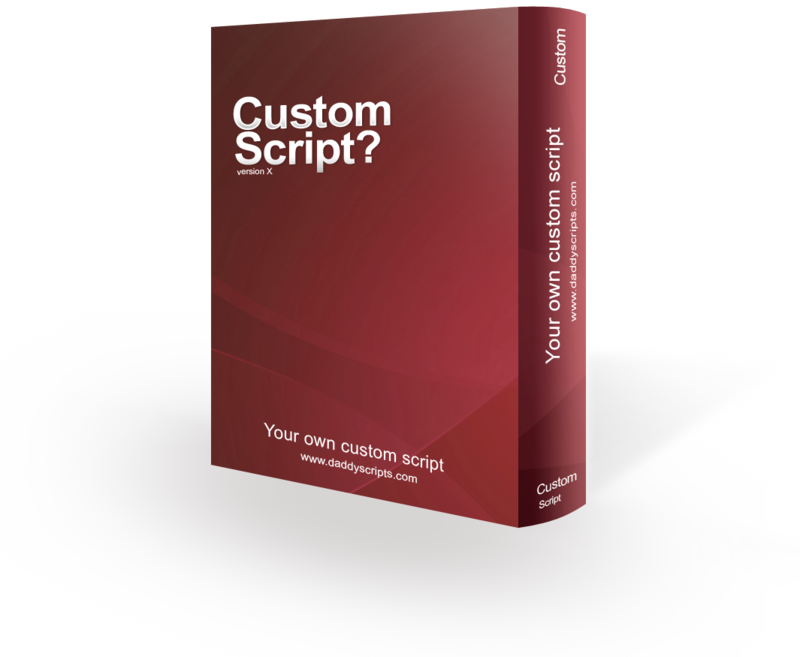 We offer custom script development! We create and delivery top notch PHP Scripts for our clients and community members. Here at Daddy Script's you will find a helpful and friendly community of web developers, programmers and beginners. Create an account to get chatting! By becoming a Premium member, you will receive priority technical support via e-mail or via our Premium Forum. Can't figure out how to implement that script? We're here to help. Here you can find a useful collection of powerful PHP Scripts you can use and install easily on your own site. DaddyScripts is mostly popular for offering the Open-Source PHP File Hosting Script Daddy's File Host (some may call it a MegaUpload or Rapidshare clone). However, DaddyScripts also provides other PHP scripts e.g. Daddy's Link Protector. Furthermore, we offer other services such as the creation of custom PHP Web Applications. All free PHP scripts provided by DaddyScripts will always remain to be free. In addition, all Open-Source scripts will remain to be Open-Source and as a result there will be no encrypted files within our scripts for example.